When you need a holiday from life, Fiji Family Holidays could be the ticket you need! Sometimes the demands of everyday life just get too much. And dreams of Fiji family holidays become all too frequent. You get sick and tired of working late and over weekends. Your boss’s voice sounds more and more annoying as the days go by. You start dreading those long-winded meetings. Can’t seem to summon the strength to dote on your clients, or even put in for overtime. Then it’s time. It’s time to stop dreaming of sipping on a sugary cocktail and topping up your tan on an island somewhere. You need that holiday. We all know that feeling. Sometimes you just need a break! Unfortunately, the exciting getaway you have in mind doesn’t normally come cheap. So, what do you do when a holiday is a must but you don’t have the cash on hand to pay for it? When you need a cash advance fast, we’re the lender that fits the bill. You let us know what you want to borrow. Then we work our tooshes off to review your application so that you’ll have the money in your back pocket – fast. here’s no need to wait weeks to get approval as you would if you applied for a loan through a bank. Our service promises fast outcomes. In fact, it’s not unheard of to have the money you requested in the bank on the same day you applied for it! So, back to that holiday. How does Fiji sound? Fiji family holidays are both affordable and memorable. When you take the family to Fiji, you’ll have the opportunity to explore the pristine beaches of the archipelago. Feast your eyes on some incredible sea life. Soak up a fascinating new culture and some sun. All while you feel the stress melting away from your body and mind. Sounds like heaven, right? There’s so much to do and so many great times to be had. Be a culture vulture and take in the historical and cultural evolution of the area. Enjoy fun-filled days with the family at the Colo-i-Suva Forest Park. Oh, and prep for a workout as this forest park boasts 6.5km of stunning walking trails! When it comes to Fiji family holidays, there’s something for everyone. Aside from the financial side of things, which we’ll help you take care of, what else do you need to know about planning Fiji family holidays? So when is the best time to visit Fiji, especially if you want to enjoy those glorious rays in full-force? The good news is that Fiji enjoys year-round warm temperatures. Having said that, Fiji family holidays can be dampened by rain. You’d definitely be better off planning your holiday during the dry season (which falls April – November). Try to steer clear of Fiji during cyclone season (December – March). There are countless resorts and hotels to choose from. Many of them also offer budget-friendly rates for the cash-conscious. While Jacaranda Finance might be helping out with travel loans, we still recommend saving your money where you can. It’s a simple equation. Stay in a hotel with all the bells and whistles – have less cash to spend on all those holiday experiences. If you are travelling with kids, you’ll also need to think about what to do to keep them entertained. While spending all your time on the beach sounds like a plan, children tend to get bored in an instant. Luckily, there are many great kids’ clubs in Fiji which parents can take advantage of. If your children are a bit older, however, there’s also a wide variety of activities to try together as a family. Why not give surfing or scuba diving a try? There is so much fun to be had you might need to be careful that you don’t over plan. Fitting it all in will be more stressful than the irritating job you are leaving behind. The Suva Municipal Market. A quaint local market is best known for its delicious (and cheap) produce. Here you can find a selection of local favourites, such as jackfruit and yams. Sri Siva Subramaniya Swami Temple. A real feast for the eyes. Sri Siva is a beautiful Hindu temple that sports intricate Dravidian architecture. Don’t forget to bring your camera along! The Mariamman Temple is another stunning masterpiece and the perfect photo opportunity. If you’re planning your Fiji family holidays for July or August, be sure to visit the temple. The infamous South Indian fire-walking festival first hand is a fiery experience. Other than that, it’s all about relaxing and rejuvenating. Preparing body, soul, mind and family to tackle new challenges that come your way once you return home. Sound too good to be true when there’s no money in the bank? You don’t have to wait and save to cover the travel cost. Get yourself a small to medium loan and book your tickets today? We’ll help you to make it happen! We have to brag at this point. Did you know that we are the proud winners of the Word of Mouth 2017 Service Award? We can’t resist throwing that little snippet into the mix! We take pride in what we do. Our mission is to provide our clients with a fast and reliable service. One that they know they can count on when those purse strings (and the temper) are about to snap. We’re here to help you make ends meet when there’s nothing more left to on anymore! What exactly do we do at Jacaranda Finance? In essence, we are an Australian lender. We can offer you loans of varying amounts depending on your needs. 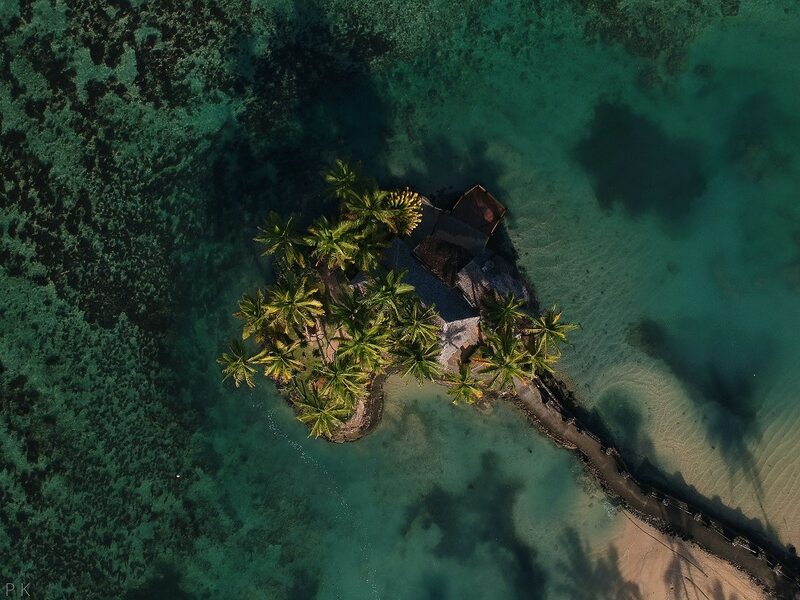 We currently offer access to amounts between $300 (for those ‘little’ emergencies, such as paying off an unexpected traffic fine) and $10,000 (you know – for those lavish Fiji family holidays!). All you have to do is let us know how much you want and over what period you’d like to pay it back over. What sets us apart from other lenders? Well, we don’t ask you to rock up in a suit and tie to make a great impression. No sirree! We do everything online. You can fill in your application chilling out in your boxer shorts, catching up on Masterchef if you so wish. Getting the cash loans you need, when you need them, couldn’t be any easier. But back to the process. Filling in our forms shouldn’t take you more than a few minutes. At which point we will assess your application as fast as we can. During regular business hours, this shouldn’t take any longer than an hour. Yes, that’s right. One hour! In short, you should know the outcome of your application on the same day that you apply. A member of our team will get in touch with you. They’ll be using the contact number that you have provided to let you know the outcome of your application. From there, you will receive an SMS and an email with a link to your contract. You will then need to read through it in detail and sign it online. If you have any queries about its contents, you can contact us for help. When will the transfer reflect in your account? Assuming we approve your application, the transfer will go with the next round of banking. This takes place once you have signed your loan contract. The policies of the bank you are with determine the time it takes for the funds to show up in your account. Payslips, copies of ID documents, bank statements – the list goes on. A loan application process can be a real pain. Particularly when you need to get your hands on the critical supporting documentation. The good news is that Jacaranda Finance doesn’t need any of that from you. We save you time by making use of the latest and safest banking technology. You don’t have to do a thing! With your permission and new tech, we can get 90 days of bank statements online in seconds. An Australian citizen or hold permanent residence in the country. A legal adult (i.e. over the age of 18). We will need a working contact number. Receiving a regular income into a personal bank account for the last 90 days. Other than that, pretty much anything goes. Worried about applying for a loan because you’re self-employed? We’re not too bothered about that! We offer loans for self employed, freelancers and work-from-home individuals. What about if you’re a Centrelink client? No worries mate. You’re welcome to apply, too. We also open our loans up to those who are bankrupt and if you’re in a Part 9 debt agreement. Although that comes with a few conditions. Those who are in a Part 9 debt agreement will only be able to apply for one of our secured loans (i.e. $2,100 and more). In this instance, you will need to use your car, motorbike, boat or caravan as security. Well, that’s up to you. You can use it to pay off your bills. Take care of any fines. Pay for school fees, or use it to get you through a particularly rough month. Although we do think you deserve a vacation! Glorious Fiji family holidays can only do you a world of good. A well-deserved holiday is definitely something to consider. Especially when you can opt to pay off your loan over a period of 24 months (as long as you borrow more than $2,000). You can enjoy the relaxation of your holiday without stressing about the cost. We have already mentioned our secured loans. As a loan provider, we offer access to both unsecured and secured loans. Our unsecured loans are those less than $2,000. What this means is you can take one out without using any of your possessions as security. If you would like to borrow an amount larger than that, you will be in secured loans territory. While we tend not to need any supporting documentation from you, this may vary from case to case. If there’s something that we can’t make sense of, we may need to ask for specific documents from you. Not to worry though – we will be in touch to communicate this as and when it happens. Many clients stress that we will contact their employer before granting them the loan. The truth is that we do sometimes do this with our new clients. But, we can provide total reassurance that our trained operators are very discrete. They would never disclose any personal information about you or your holiday loans application. To your boss, colleagues or bank manager. Keen to get your hands on instant loans? If you’ve applied outside of these hours, your application will be attended to when the team gets back in. What if my loans isn’t approved? The vast majority of applications that we receive are approved within hours. But, there will be instances where we have to reject an application. Usually, because the applicant does not meet our criteria (see above). If we can see you don’t meet these criteria, we may refer you onto another lender that is better suited to your situation. That’s pretty much everything that you need to know before applying for same day loans with us. So, what are you waiting for? It’s time to start planning. Remember those unattainable Fiji family holidays you’ve been dreaming about for months? Well, it’s time to stop dreaming get reliable, flexible cash loans from Jacaranda Finance. If you need a loan, you need Jacaranda Finance. Fiji family holidays with Jacaranda Finance Overall rating: 4.8 out of 5 based on 60 reviews.